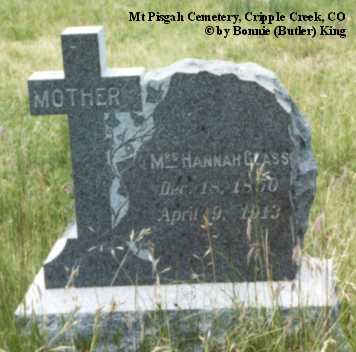 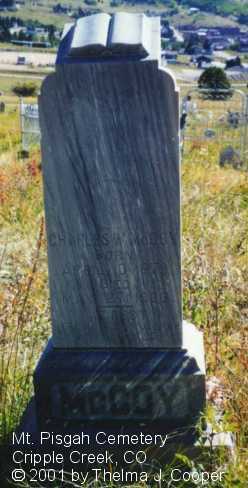 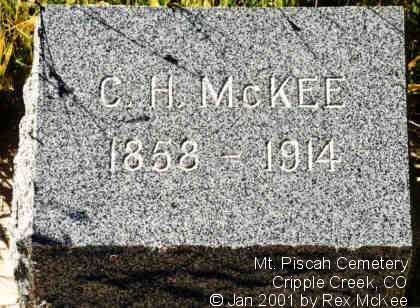 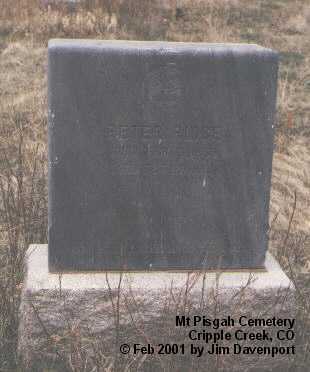 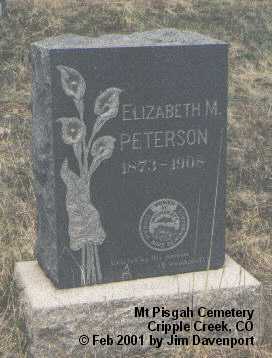 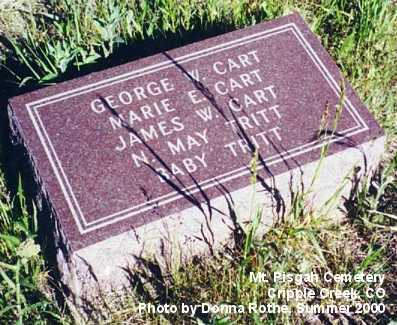 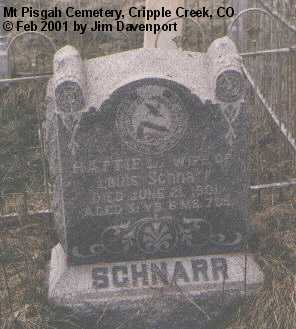 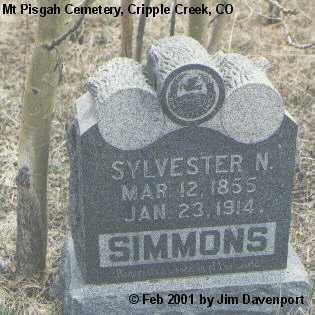 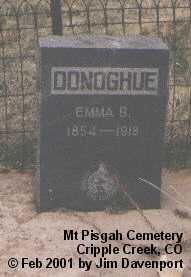 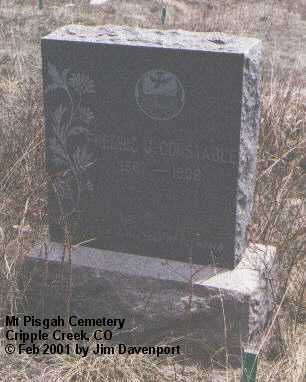 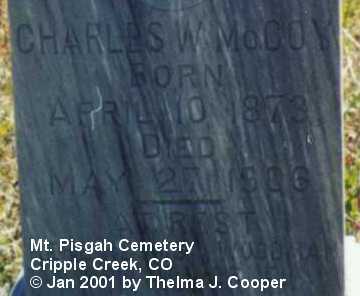 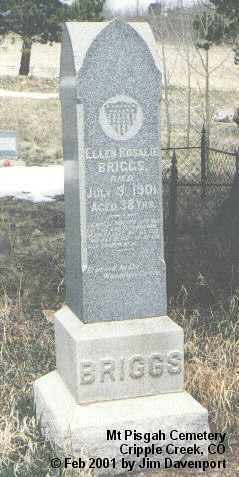 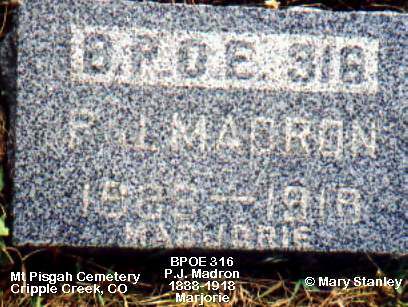 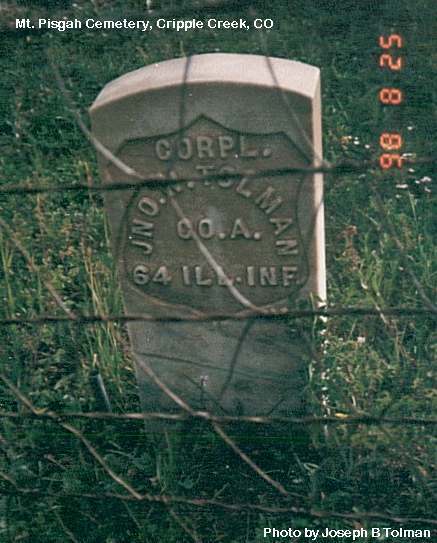 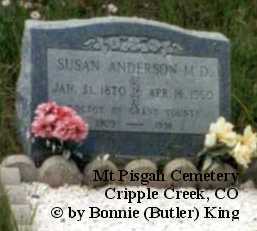 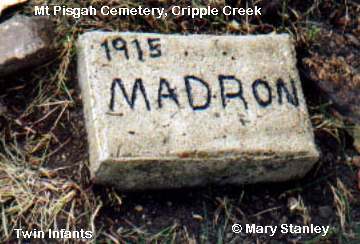 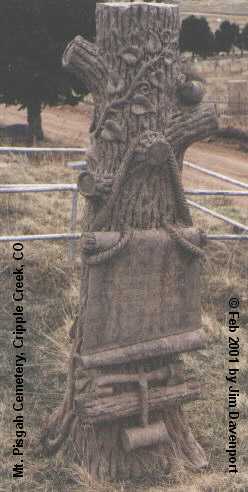 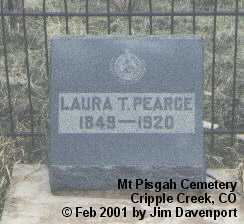 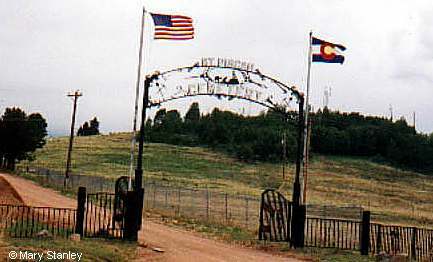 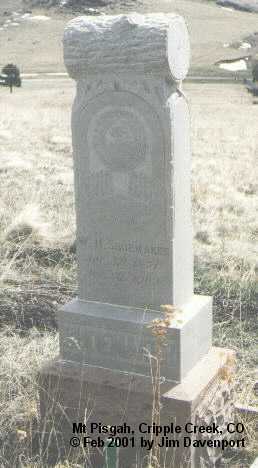 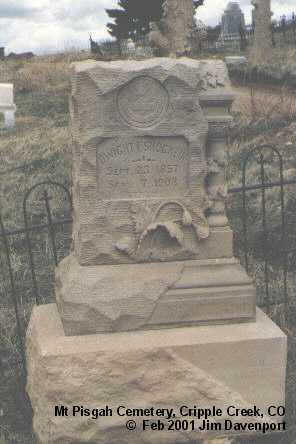 Mount Pisgah Cemetery is just west of Cripple Creek. 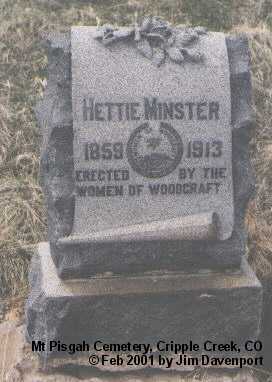 The first known burial took place in 1891. 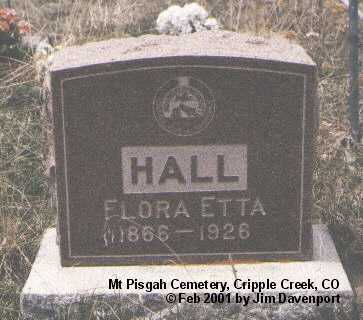 Pearl was the madam of the Old Homestead parlor House during the early mining days in Cripple Creek, Colorado. 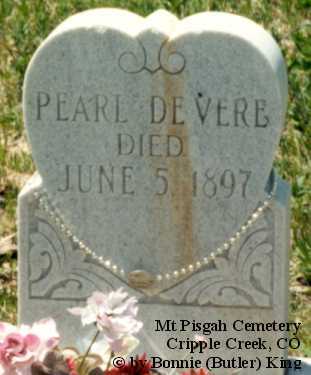 She was well liked and respected in the area, but when she died, according to Cripple Creek Days by Mabel Barbee Lee, a family member came from the East, learned what Pearl's "profession" was, and refused to claim the body. 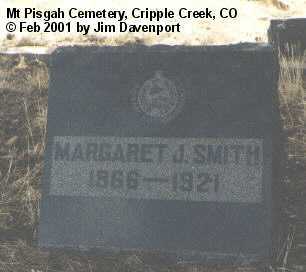 The town provided the funeral and burial. 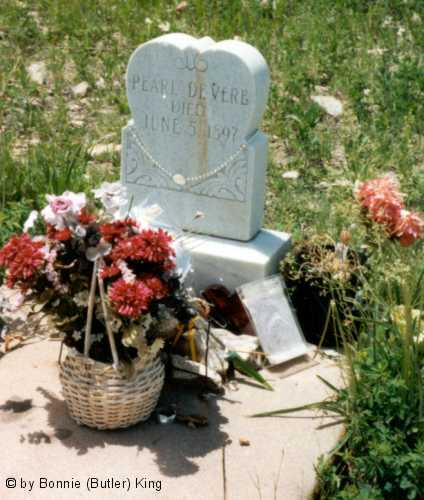 People still seek out her grave and leave gifts on it.